Take two teaspoons (tsp) or 7 capsules 2 to 3 times per day. Many people start with one tsp or three to four capsules per day and gradually increase their serving every four to five days. Young children begin with ¼ tsp per day and gradually increase to ½ tsp or two capsules per day. 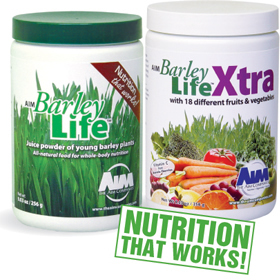 Since mixing BarleyLife activates the nutrients, drink it immediately after mixing it in water or your favorite juice. BarleyLife delivers the greatest benefits when taken on an empty stomach, 30 minutes before or two hours after a meal.